Return to Koholint Island in 2019! Over 25 years after it was released for the original Game Boy, The Legend of Zelda: Link’s Awakening is being reimagined. Slated for a release in 2019, the new game will be available exclusively on the Nintendo Switch. The announcement came as a surprise, tucked in at the end of the Nintendo Direct and gave a first look of what we can expect from the classic title. 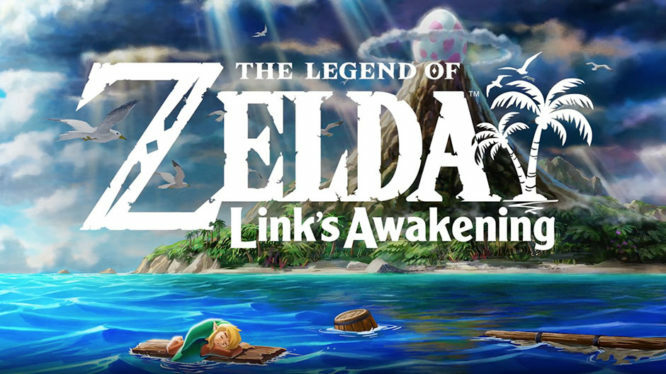 The Legend of Zelda: Link’s Awakening on Switch will once again take players to the mysterious island of Koholint. Retaining the top-down view of the original, you’ll need to guide link on his quest to awaken the sleeping Wind Fish and escape the island upon which he is stranded. However, the remake takes on a vastly different visual style and is a striking change and departure from other games in the series. The beautiful new art direction looks like cute toys that have been placed in a vast diorama for them to explore.